The Displaced in Media Policy Forum gathered policy-makers, activists and young media makers from nine countries in Marseille, home of les Tetes de l’Art. The forum’s centrepiece was a discussion of draft recommendations to policymakers initiated by organisations which have been a part of the Displaced in Media network. Before and after this session a programme of film-screenings and presentations by Marseille-based organisations active in addressing the representation of migrants and refugees reflected the wide range of practice within the network. The forum began with a screening of clips made by refugees and migrants, active in the Doc Next Network, Displaced in Media and Media Activism networks. The sequence started and ended with frames from a video made by Mulham Mohamed Hidel - a Palestinian-Syrian vlogger living in Istanbul. Hilham walks down the street chatting to his selfie stick and then, catches the eye of a passer by, turns back to the camera and asks cheekily; ‘Why are people looking at me?’ Of course it’s obvious why people are looking at him: he’s walking and talking to a selfie stick. But we’re with him - he’s choosing one audience, elbowing away another and taking his place in physical and digital public space. A range of introductions framed the Displaced in Media network: Vivian Paulissen, Knowledge Manager introduced the European Cultural Foundation and its mission to create an open, inclusive and democratic Europe. ‘It’s a political mission’ she says, ‘but culture has a role to play in it’. 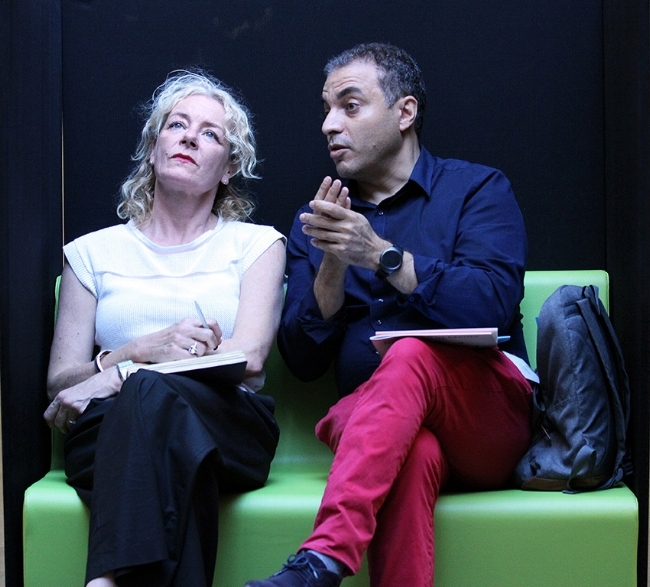 Sam Khebizi, director of Les Tetes de l’Art, welcomed participants to Marseille, explaining that Les Tetes de l’art had worked in the streets directly outside the forum’s venue for many years making ‘urban furniture’. He linked the forum to local migration issues: firstly, the case of the NGO operated Aquarius rescue ship which, four days previously, had been refused permission by the French government to dock in Marseille; secondly, the case of workers in a nearby immigration office who are on strike in protest at the size of their caseload. He explained that recent reports about this on French national TV have focused on migrants fighting with knives outside the office - without the context of the strike at the underfunded office. Vivian Paulissen and Sam Khebizi. Photo by Dogan Boztas. Menno Weijs, project manager at ECF, explained what the Displaced in Media has achieved so far: The initiative has brought together nine organisations from across Europe to share their work in meetings. This knowledge has been gathered in a ‘cookbook’ which has been disseminated through their networks. ‘We need to democratise the media landscape if we want to have an inclusive Europe’ he says, ‘public opinion needs to be made by everyone’. After these introductions Hélène Bourgon and Colline Charbonnier presented their 15-38 Mediterranee donor-funded media platform in their keynote. The two met reporting in Lebanon between 2012-2015 - both were disillusioned with the reporting on migration and refugees issues. ‘My editors wanted to know about numbers and flows but I was talking to people’ says Hélène. 15-38 takes its name from the coordinates of the midpoint of the Mediterranean - each week it publishes dossiers written by writers in six countries surrounding the sea. ‘The idea of 15-38 was to bring people into the news. We think we have a responsibility when we talk about migration; to explain the context - our goal is to deconstruct fake news about migration’. After showing two examples of their reporting, Helen says the most important piece of context they try to convey is that the amount of refugees crossing the Mediterranean are a fraction of the overall number of refugees on the move. 15-38 is a reaction to a dominant news narrative that fails to relay the perspective of refugees, contextualize migrant’s circumstances or give sufficient historical explanations. Will this way of telling the story remain marginal, or could it reshape the approach of public broadcasters? Sara Wall, programme manager from Fanzingo - a youth-media organisation from Stockholm - talked about how her organisation has been working with Swedish national broadcaster SBTV, to platform the voices of first time voters in towns around Sweden, many of whom are migrants. There is more about this work on p22 in the Displaced in Media Cookbook. She says that public service broadcasting should be thought of as shared endeavor: ‘we need them, but they need us’. 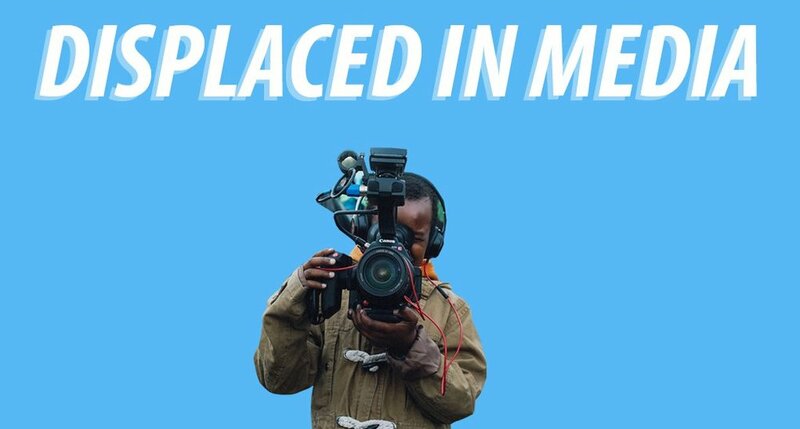 This was one of the reasons Displaced in Media partners produced a set of policy recommendations in the publication ‘Displaced in Media - towards better media representation and inclusion of migrants and refugees in Europe’. The forum participants divided themselves into three groups to discuss and further refine the recommendations. After two more presentations by Marseille based non-profit organisations: Hors Pistes and Eurocircle, the forum became a live streamed Boulege TV show. This consisted of Samuel Wahl of Boulege inviting groups of local organisers and activists to introduce their films. These included: a film about Primitivi - a self-organised migrant support collective - , more films from the Displaced in Media network and QX1.org - an ingenious website curating peer-to-peer citizens-advice for new arrivals to Marseille. The platform is curated by Idea Camp 2015 and Research and Development grantee Federico Brivio. He makes the observation (that the late Jane Jacobs would have liked) that the website shows that it is the ungentrified, messy, unplanned parts of the city which are best at meeting the day-to-day needs of migrants new to Marseille.